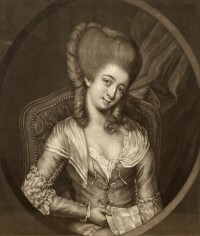 This exhibition features a private collection of mezzotints of Georgian women from different levels of society including actresses, courtesans and duchesses. The theme of the exhibition is to look at the status of different women in the 18th century, how they viewed themselves and were viewed by society. It also looks at the social fluidity of the 18th century, where a prostitute or actress might rise through the ranks to become a celebrated courtesan and then marry into nobility, or conversely where a woman born into wealth and status might be damned as a ‘whore’ for having a relationship outside of marriage. Wonderful feature about the exhibition in the July issue of The Bath Magazine!